Worthy replacement of pretty much any analogue 4:3 cam. Smaller lighter and provides the same quality. I hope V1 it is still being made, my OSD enabled rigs do not benefit from v2s osd. I actually have to switch it off. Great picture and ultra light, this is now my favorite camera. This is a great little camera,I have it on a small drone and it is so light .The picture quality is excellent. When I received the unit I ordered I connected it up only to find out it was in black and white and rolled vertically making it impossible to use. I had to send runcam a pic to prove the defect. A little slow to send the the replacement but it worked OK. I was surprised at the graininess for a Sony superhad II chip. Great picture and the resolution is good, though the overall picture looks darker in contrast otherwise an excellent product!!! 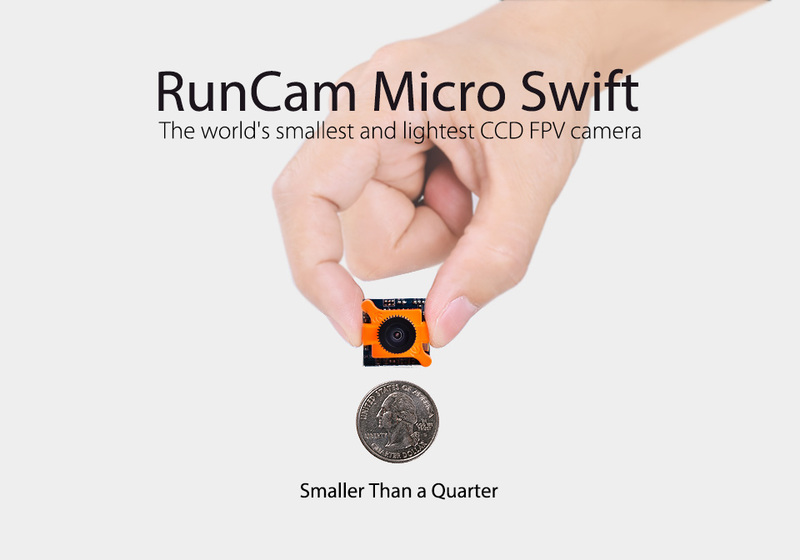 Simply the best camera for micro quads. I fly really tight packages, and for a long time the only thing available was tiny cmos cameras with extremely bad image and completely unreliable when it came to light changes. 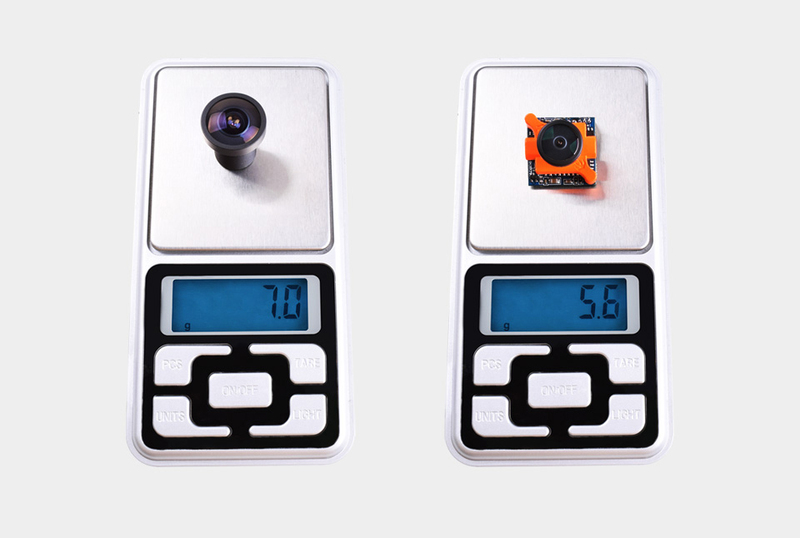 When i saw that runcam was coming out with a CCD Camera the size of a stamp, i thought "well lets try it, cant be worse than the others"
I pre-ordered the camera, waited patiently and finally received it. It was really small and to be honest i thought it would not fit in my custom made 130 gnat. I made a mount, got it in the frame and powered it. Let me tell you this camera is something else, best video quality i have seen in a long time, adapts very well to light changes and made my tiny quad a different beast to fly with. I will be buying more of those, not only because of the quality, but also because of the price and i will be removing my tired old cameras from my quads and replace them with this one. 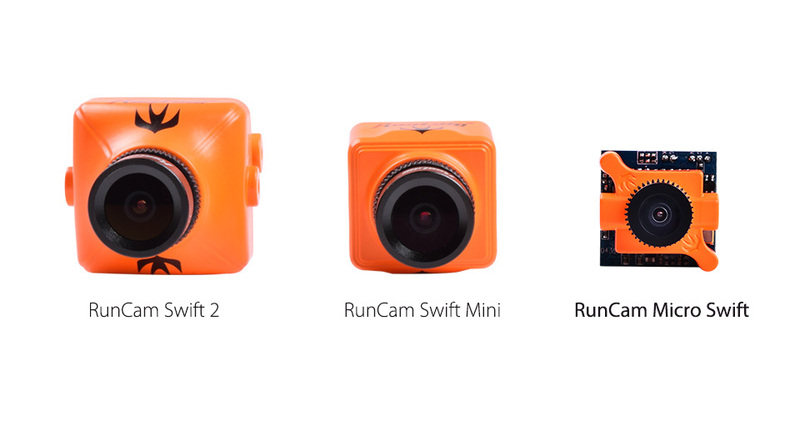 Thank you runcam, i am one happy customer! The solution ! It was runcam who found it. Small, light, and irreproachable video quality. This camera is the only one of this category today and I advise all. I have been running the micro swift cams in all my rigs and they have been awesome. I really like the size, weight and of course it's performance. 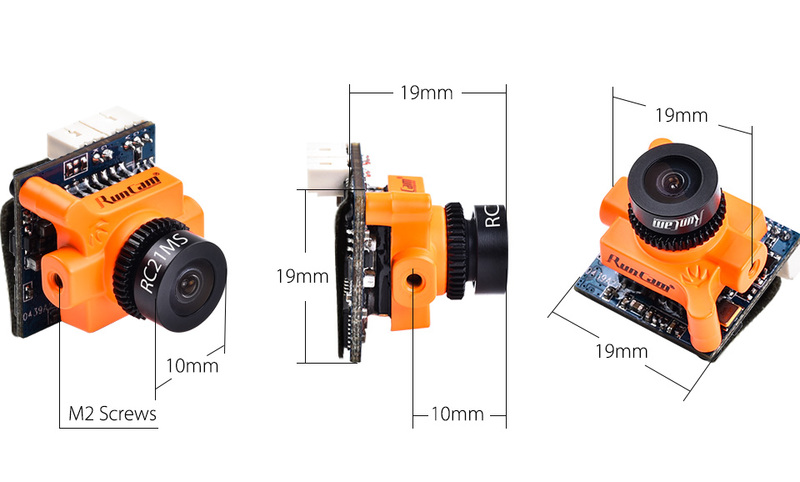 Perfect for not only your 3" builds but for all your FPV racing quad sizes. Great job RunCam. I am really satisfied of the camera. It was well packaged and easy to setup. Everything worked flawlessly. It is the best solution for a micro quad. I can fly any time thru the day and see great. Low light at night works great I can fly until the sun sets. Very happy with the camera I plan to buy 2 more. Other than the occasional build that needs the OSD of the swift 2 I really can't find a reason to use anything else anymore. I've got one on a 5" and a 3". This is what I was hopping the mini was going to be.